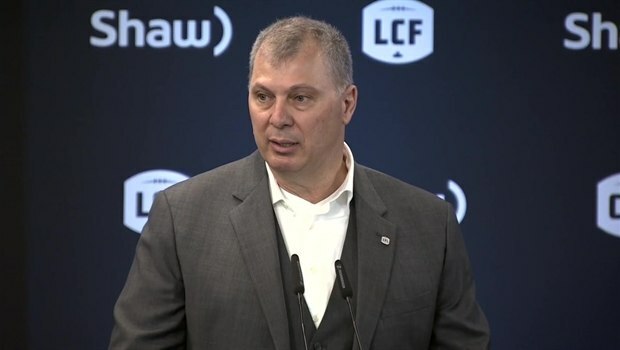 TORONTO - Fresh off a busy European road trip, CFL commissioner Randy Ambrosie expects contract talks between the league and its players will begin sometime next month. "They (players) shared with us that they were doing their groundwork, as are we,'' Ambrosie said in a telephone interview Saturday. "They expected they'd be in a position to give us notice to bargain probably in and around the middle of March. "Having been on the other side ... that's perfectly normal and logical,'' Ambrosie said. "Our job is to be ready to go when they are and that's what we've been doing. The CFL is now working through the logistics of incorporating the European players into its national combine. Ambrosie said European officials were given a ``grid'' of what the average U Sports player test results would be as a guideline. "I think there was a sense that if it was an option for many of those families, Canada would be a welcomed destination for those kids,'' he said. "Very real conversations are taking place on the TV broadcast side,'' he said. "There's a discussion happening in Mexico right now with one of their broadcasters having shown interest in a TV deal with us.